Having gleaming clean dishes and glassware, without the chore of washing by hand, is a luxury most households are embracing these days. 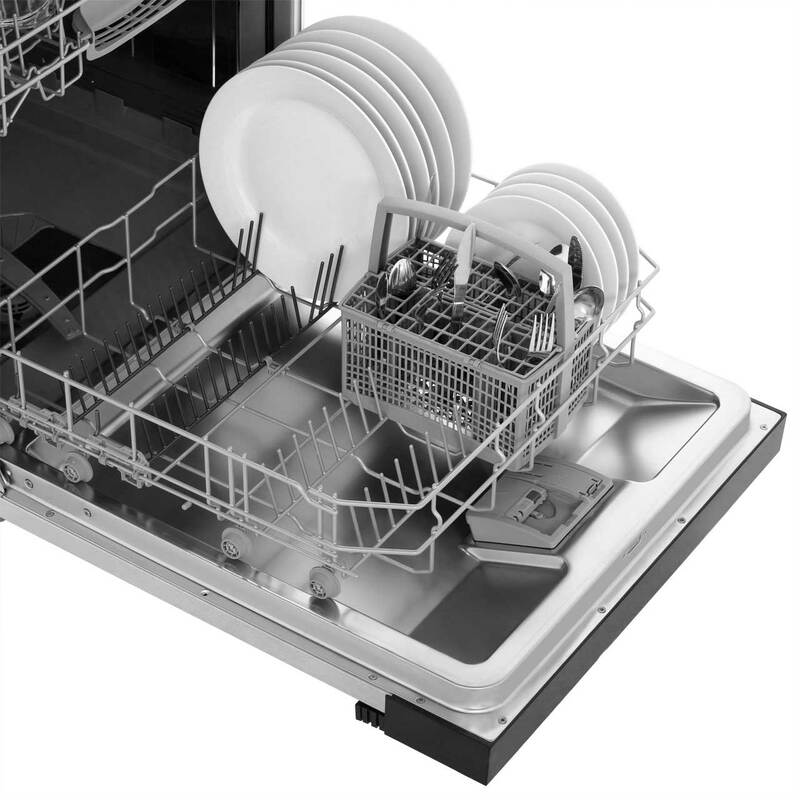 Dishwashers have consistently been proven to be more water and energy efficient, saving both the environment and your money – it’s a luxury we can all afford and a great addition to your fitted kitchen. Our range of dishwashers provide expert cleaning, with programmes suited to everything a busy kitchen can produce, from casserole dishes and greasy pans to delicate glasses. The size of your family as well as the amount of space you have in your kitchen will govern which size of dishwasher is right for you. Full size dishwashers are 60cm wide and often hold 12-14 place settings. 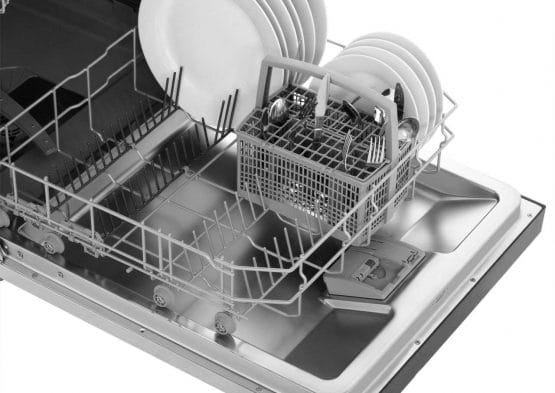 Discover which size dishwasher is right for you. 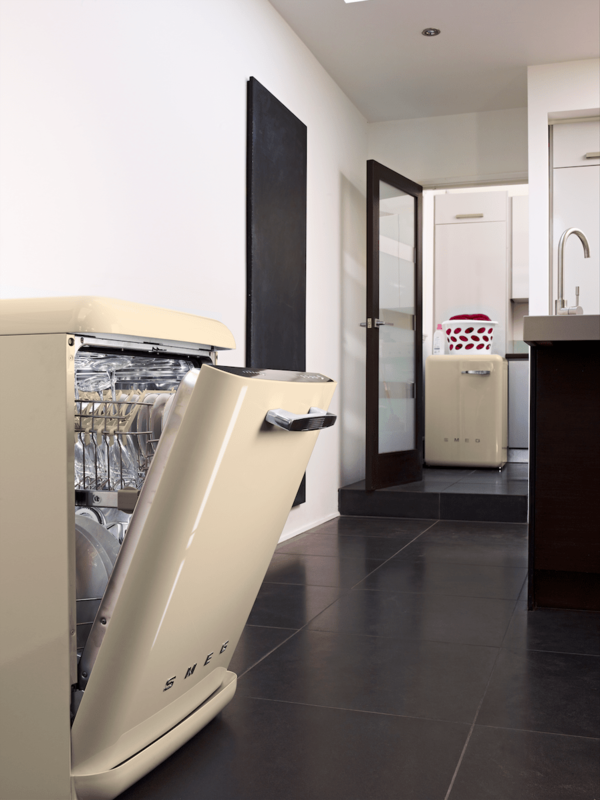 If you’re limited for space in your kitchen a slimline dishwasher is the perfect solution for you. At 45cm wide a slimline model usually holds between 9-10 place settings. This is also ideal if you have a small family and do not require additional settings. 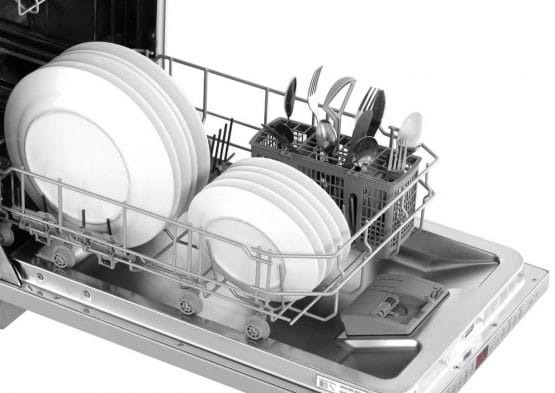 Find out more about slimline dishwashers. 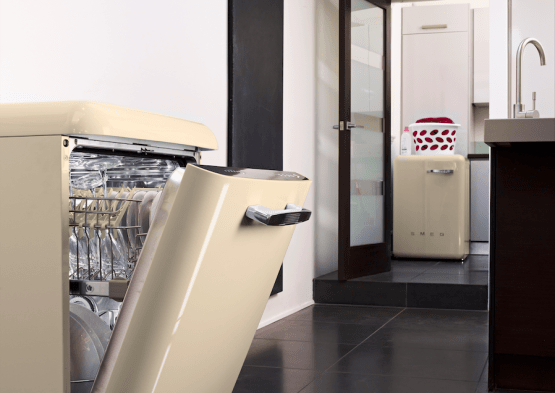 A freestanding dishwasher offers a more affordable option to your new kitchen space. The features and specification are usually the same as an integrated model. You can opt for finishes such as; white, silver, black or stainless steel so you will be sure to find one that will fit in with your new kitchen scheme. 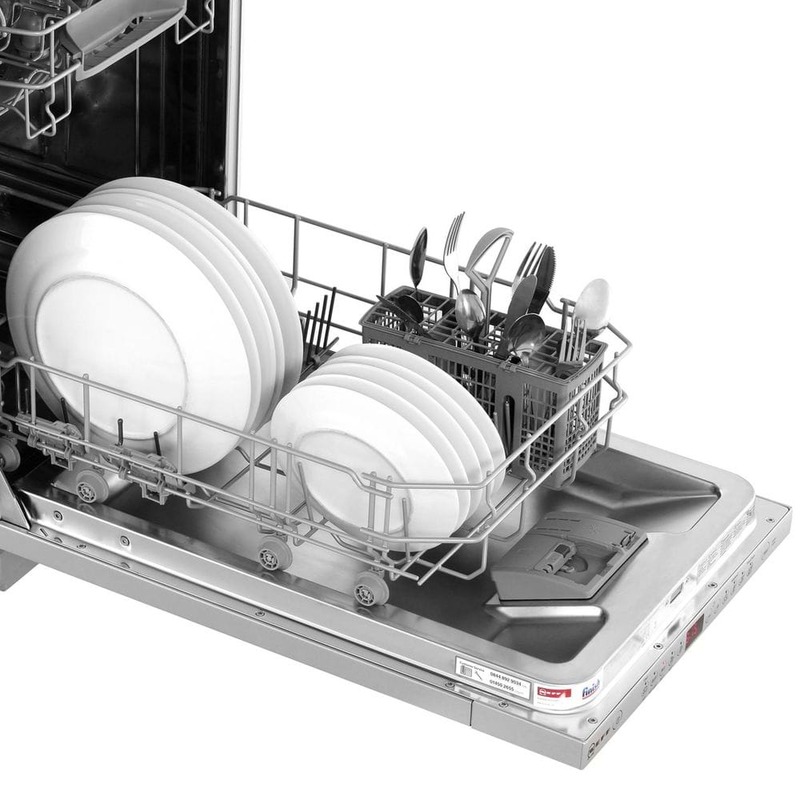 Freestanding models are also available in the same sizes as an integrated dishwasher. If you already have a freestanding dishwasher and are not looking to change your appliance our designers are able to design your new kitchen around existing appliances. Integrating your dishwasher is a perfect way to maintain the sleek appearance of your new kitchen. You also have the option to fully integrate your appliance where all controls are hidden or to semi-integrate if you would prefer the control panel on the front. 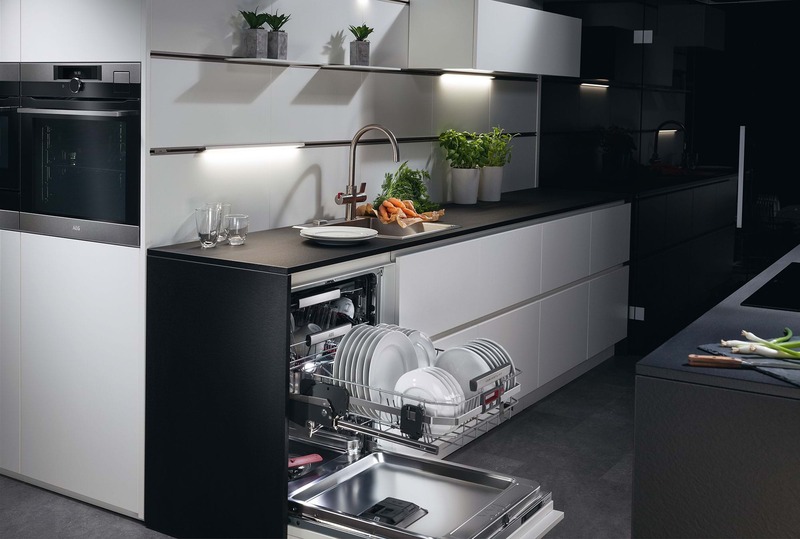 Many integrated models offer new technology which displays a time remaining on to your kitchen floor and if you’re in to gadgets the AEG ComfortLift dishwasher features a mechanism to lift your lower rack with ease to assist with emptying and filling. Ask our designers to talk you through our range.